Dubai-based property developer Shaikhani Group is set to deliver its Dh150-million ($41 million) Champion Tower I, a 15-storey property located at Dubai Sports City, starting from next month. It offers a total built up area of 114,124 sq ft, featuring 135 residential units - 49 studios, 50 one-bedroom, 30 two-bedroom and six three-bedroom units. It also boasts 135 car parks. Announcing the move, Shaikhani said this follows the handover of 224 units last year and will raise the number of deliveries to 359 apartments in a year – that reflects the developer’s strong commitment to its buyers. The residents are scheduled to move in by the end of February. 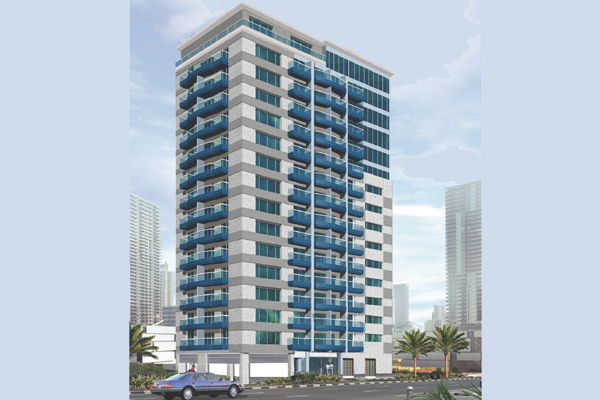 Champion Tower I has been designed by the Al Sarh, a leading architectural design firm and managed by the British Amec engineering consultants. Starfire Facilities Managements has been contracted to carryout maintenance works. “Timely delivery of properties form an important aspect of our overall development business philosophy,” stated Mahmood Abu Baker Shaikhani, the group's managing director. "Timely delivery together with quality finishings makes the customers happy and our objective is to see more happy customers. We are glad that our properties are well received by the investors despite tough market conditions," it noted. "That is all due to our right business approach, in right place, and at the right time. We have a track record of delivering premium but affordable houses with timely delivery. Last year we successfully handed over 224 units, which reinforced our position in the market and strengthened investor trust in our properties," he added. Champion Tower I features severaal key amenities including a swimming pool, fully equipped spa and gymnasiums, under-ground parking, 24-hour security and three high-speed elevators. Shaikhani said the group has planned further projects that will further strengthen its credentials and boost investor sentiment and attract more buyers to its portfolio.